Community Blog by Gilthalas // Aaamazing: Don't you die on me! Aaamazing: Don't you die on me! Fire Emblem is a pretty big series and has iterations across a variety of platforms. Whilst the graphics, story and characters may change, the gameplay rarely shifts from its main style. 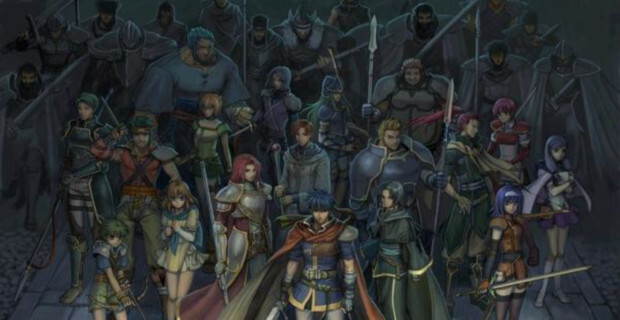 Whilst similar to other tactical games, Fire Emblem always stood out to me for one aspect I'm sure many are familiar with and that is when a character dies in Fire Emblem, they die for good. There's no fainting, fleeing, reviving or any thing else you can do to bring someone back. If you lose a unit in Fire Emblem, you better hope you didn't like them. 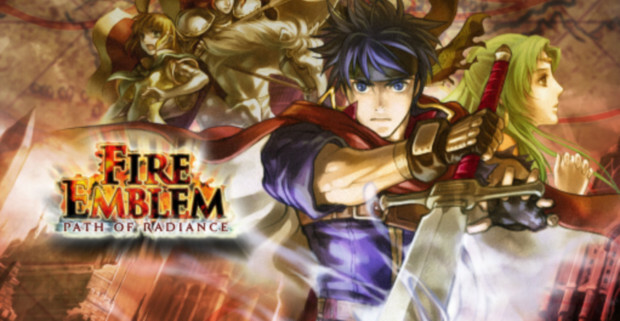 As I said, this is a common feature in Fire Emblem games and I've played all of them from the Game Boy Advance generation upwards but for the sake of this blog, I'll focus on my favourite: Fire Emblem: Path of Radiance. One of the reasons I loved Path of Radiance was the in-between mission hub. In past games, if you wanted to have conversations, you had to place units next to each other in battle. This could always be fatal and when units aren't expendable, it becomes a real chore, especially if you want the A grade. Lucky for me, they eliminated this in Path of Radiance and now, I could enjoy conversations between missions at my own leisure. More often than not, Fire Emblem games have a select few characters who have a constant place in cutscenes but the addition of these between mission chats added real depth to characters I might have alternatively looked over. Another feature I was quite fond of was the individuality of each character model. Whilst in more portable versions of Fire Emblem, aside from Lord's and bosses, the only thing differentiating a lot of characters was their colour but in Path of Radiance, everyone has a slightly unique feature. Boyd has a fur trimming, Volke's special move made him stumble backwards and then dash forward for a KO and the list goes on. All in all, there wasn't much I didn't love about Path of Radiance but the good times couldn't last forever. Before I carry on, I need to introduce some people. Soren is a mage and a major character in Path of Radiance. Statistically, he's the strongest mage in the game by far. Other characters see him as insensitive and negative (both of which he is) but he is also incredibly realistic. His advice was always worth hearing and valued highly due to his objective viewpoint. He was with me from the very earliest missions and is probably Ike's most loyal friend. We also have Zihark, an eventual swordmaster who joins you to help battle against the oppression of another species. Loyal, honourable, brave, dashing and all placed in the body of a calmly confident charmer. Just about everything I like in a character. Finally, we have Lethe and Oscar. Lethe has ostanding stats and is incredibly passionate about...well, everything. She seemed cold at first but she definitely grew on me as time passed and became a major figure in Team Gilthalas. Oscar, much like Soren had been with me since the start and takes care of his two younger brothers. Always happy and incredibly optimistic, he is someone that could be relied upon at all times. Now the introductions are complete, I'll just set the scene a bit. All four of these characters were integral to my squad. I rarely (if ever) went in to a fight without all four. Also, as I do with all games that can have some sort of repercussion, there is no restarting to save a character or make a different decision. Once it's happened, I have to deal with it. I was approaching the final few chapters of the game and upon reflection, I fear I may have become slightly careless. My units were so effective, I felt I could throw them in to anything and they'd probably survive. It was this false confidence that led to disaster. In one mission, I sent Oscar ahead. I had a copious amount of paladin's in my team and always sent them ahead to block off or kill certain enemies. I'd moved Oscar within near range of a few small ground troops who I assumed wouldn't bother him but I was sadly mistaken. If I'd actually bothered checking their inventory like I should have, I'd have noticed they had Horseslayer's. It only took four attacks for Oscar to fall and from then on I was in a moment of crisis. I ploughed through the rest of the mission in some sort of a daze and I had Kieran, another paladin waiting to move in to his spot once the mission was over but it just wasn't the same. Oscar had been with me from the start. He'd been so integral to my team and had done so many great things for us. Little did I know that losing him was barely even the start of worse to come. A few missions later and I'd become more cautious. I was pushing quite effectively through the next mission and was confident I could end it soon so sent a lot of my units rushing ahead. Lethe wasn't in 'Beast mode' at the time making her worthless so I brought her to the edge of the map so she could be avoided. Zihark was one of my men leading the charge and his luck and speed stats were so good, I knew I didn't have to worry about him. Moments later, enemy reinforcements started to appear and of all the places they could have chosen, next to Lethe was one of them. I moved her as far as I could but it wasn't far enough and next turn, they completely annihilated her. When I lost Oscar, I was shocked by own complacency but the loss of Lethe was rage inducing. There was no way I could've predicted that happening. It was completely out of my control and was so frustrating. The only thing that could've made it worse was a critical hit on Zihark with a 'Killer Edge' just I came to the end of the mission. So after Zihark died in the aforementioned way, I ended the mission and turned my GameCube off to sulk for a while. Three units gone in the space of a couple of hours and I almost didn't feel like finishing the game. After spending so long with specific units, it feels like they almost become important to you. I wasn't going to cry or miss school because of it but nevertheless, it was incredibly irritating. I replaced them all with like-for-like units but for the most part, I didn't care. Stefan? No way near as cool as Zihark and I hardly knew him. Muarim? Silent strong type. Great fun. Kieran? What a tool. Eventually, I made it to the final mission. I'd mourned the loss of Lethe, Zihark and Oscar, adapted to my new team and it was finally time for my to complete the game. As a mage, Soren is defensively hopeless and if he ends up isolated, he's pretty much a dead man. Cue a few dud moves from me and suddenly, I'd opened up a channel right to him. The second I realised my mistake, I probably threw my hands on my head and just watched the carnage unravel, praying for someone to miss. After this, I went on to complete the game and despite winning a great battle, it didn't feel that great. I'd lost four of my favourite characters along the way as well as others I hadn't mentioned. It was certainly victory but it felt very hollow. This experience was at least five years ago now but is still quite vividly with me. I've played plenty of games since then but there are few videogaming experiences that can be as distressing as the loss of a unit in any Fire Emblem game. The level of focus on character development in Path of Radiance was absolutely fantastic and for that alone, I'd almost be willing to consider it amazing but the effect it had on me whenever I lost someone is probably why I chose Fire Emblem: Path of Radiance for this months musing.